Young couple, each with a child on their lap, smile to a person off frame. Great news for Mississippians saving to buy their first home! HB 1601, signed into law in 2017, is helping lead the way to home ownership for Mississippians. The law establishes a First-Time Homebuyer Savings Account, allowing Mississippians to create monetary savings accounts for down payments or other home purchase related expenses. Members Exchange started offering these accounts on January 1, 2018. Ready to take advantage of this great new savings opportunity? Contact Members Exchange and tell them you would like to open a First-Time Homebuyer Savings Account for you or a family member. A savings account for first-time homebuyers that offers tax advantages for individuals up to $2,500 a year and up to $5,000 a year for couples. Any Mississippian who has never purchased, owned, or part-owned a home in Mississippi or any other state. Where can I create an account? You can create a First-Time Homebuyer Savings Account at any bank, credit union, or other financial institution licensed to do business in Mississippi. It can be a cash deposit account (special savings) or a money market account. The account holder, not the financial institution, is required to maintain documentation to verify that the withdrawal from the First-Time Homebuyer Savings account was used exclusively for eligible expenses for the purchase of a single-family home. When can I create one? You can open one now and start saving. You can start taking a tax deduction beginning in the 2018 tax year. Why would I want to create one? When you are ready to buy a single-family home, you will have money saved to help make the purchase. Plus, money deposited in the account is deductible from state income, which lowers your tax bill. Interest earned on the deposits is also free from state income tax. How long can my account remain open? Your account can stay open year after year until you decide to buy your first home in Mississippi as long as the account holder is a qualified first-time homebuyer. Is there a limit on how much I can save? No. Every year, individual filers can save up to $2,500. Married couples, filing jointly can save up to $5,000 every year. Deposits can be made year after year so long as at least one (1) qualified account holder remains alive. 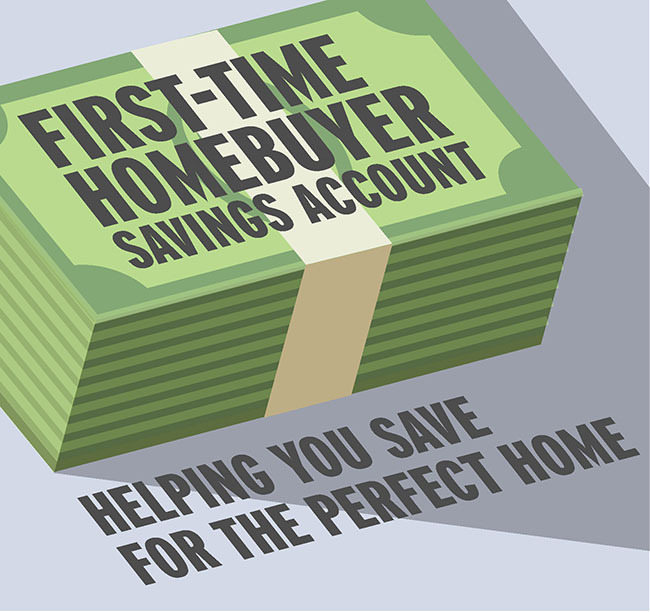 Can I put more than $2,500 into my First-time Homebuyer Savings Account one year? A single account holder and married couples filing jointly can deposit more than the stated limits each year, but the excess money is not eligible for a tax deduction and is treated as ordinary income. What can the savings be used for? Savings can be used for down payments, loan origination charges, appraisal fees, credit report fees, flood certifications, title charges, deed charges, and other closing costs on the settlement statement of the first-time purchase of a single family home by a qualified beneficiary. Eligible single-family homes include newly-constructed homes, existing homes, manufactured homes, modular homes, mobile homes, condominium units, or cooperatives. Can I make First-time Homebuyer Savings contributions to an existing account that contains funds held for a different purpose? No. First-Time Homebuyer Savings Accounts must be a new, separate account designed for a first-time home purchase in Mississippi through a qualified financial institution. Do I pay Mississippi tax when I pull money out of my First-time Homebuyer Savings Account? No, as long as the money is used for a down payment or allowable closing costs of a first-time home purchase in the state of Mississippi by a qualified beneficiary. What if I use the money for something other than a first-time home purchase? Can I open an account for a child or grandchild? Yes. The law defines an “account holder” as an individual who establishes a savings account individually or jointly with one or more individuals. A grandparent can open an account with a grandchild. The grandchild, as a qualified beneficiary, could claim first-time homebuyer savings account status on his or her Mississippi income tax return when he or she qualifies to file one. What if the account holder dies? If the account holder, who is a qualified beneficiary dies and there is no other qualified beneficiary on the account, the money in the account can be withdrawn by the surviving joint owner (if there is one) or the legal heir of the deceased. The ten percent penalty will be waived, but the money may be subject to tax as gross income. How do I take the deduction with the Mississippi Department of Revenue? The MS Department of Revenue is in the process of creating forms to report First Time Homebuyer Savings Account contributions beginning with the 2018 tax return. Do I pay federal taxes on the money? What if I move out of Mississippi or purchase a home outside of Mississippi? Your account can remain open if you move out of state. However, the money in the savings can only be used for an eligible purchase in Mississippi. If the money is withdrawn for an unqualified use, it will be subject to gross income tax and a 10 percent penalty. How are interest earnings reported on my tax returns? The earnings from a First-time Homebuyer Savings account are reported on the credit union’s 1099 INT forms that are sent to members and to the IRS every January. The 1099 INT will include the total interest earned combined in all accounts except for IRAs. It is the members responsibility to closely examine the 1099 INT form so you will deduct only the appropriate amount of interest on your tax return. A separate breakdown for interest earned on each account can be found on the December 31st member statement.